Just because your car or truck isn’t equipped with heated and cooled seats doesn’t mean you have to go without. 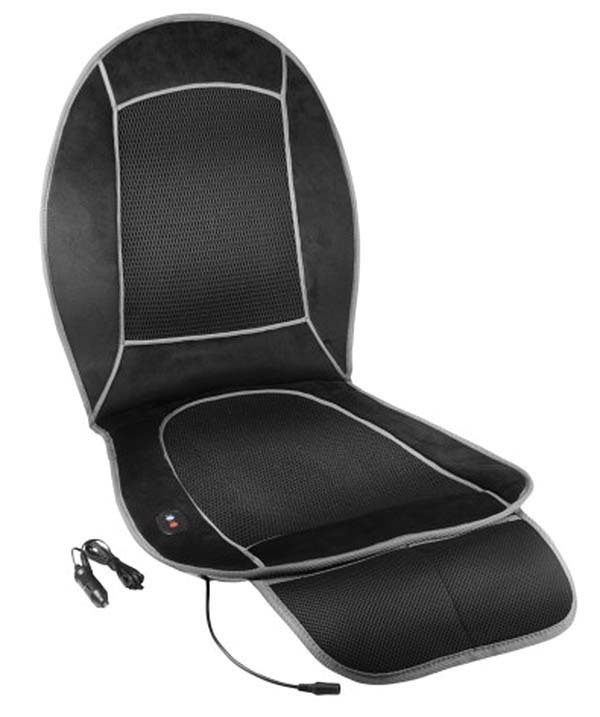 The All Season Car Cushion from Wagan Tech is designed to keep you comfortable, no matter the weather. The 12-volt seat cover is designed to fit the driver’s or passenger seat of practically any vehicle. The unit is simple to install using the built-in straps that attach around the seat’s headrest and the lower back. Once plugged into a 12-volt socket, press the red button located on the cushion for heat, or the blue button to activate the cooling fan. Purchase for $75 from www.wagan.com.